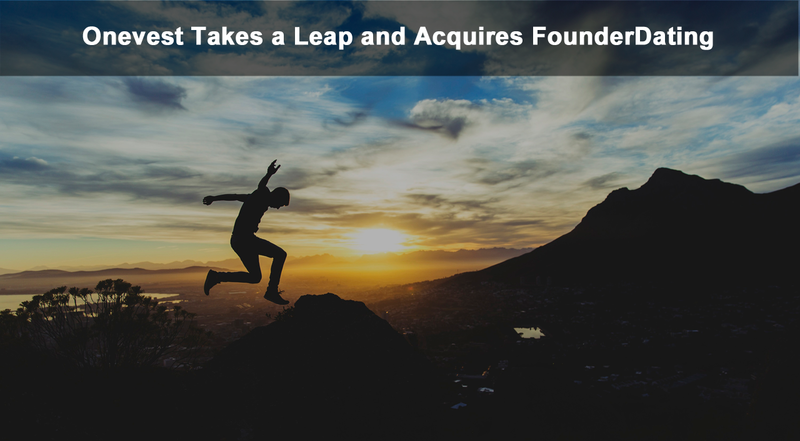 Onevest, technology products provider to founders,investors in the entrepreneurship community, announced today the acquisition of FounderDating to create one of the largest and leading networks of entrepreneurs and advisors, in combination with Onevest‘s subsidiary, CoFoundersLab. We became very aware of FounderDating with SF New Tech back in 2010. Great organization. The strategic appeal for the acquisition is clear. In addition to FounderDating’s large and curated community for finding advisors and cofounders, their Q&A platform - FD:Discuss - has grown in popularity, boasting 3-4 answers in under a few hours to new questions and a 90%+ response rate. With CoFoundersLab and FounderDating now combining efforts, their reach runs deep, allowing entrepreneurs to access the resources they need to thrive from team matching algorithms, to community discussion boards and a variety of certificate courses around how to create and scale businesses. FounderDating’ community will be combined under the CoFoundersLab brand to create the ultimate platform where company creation and growth is fortified. “Small businesses are the growth engine of our economy, not to mention the catalyst for innovation and change. We exist to provide entrepreneurs the resources, tools, and support they need to succeed. Together, we are committed to accelerate startup growth and empower even more people to positively impact their community and the global economy throughentrepreneurship,” said Cremades. has become the go-to place for early stage team building. With this acquisition, Onevest will be the largest platform to aid entrepreneurs from team formation through funding and beyond. Similarly, CoFoundersLab, which Onevest acquired in 2014, is a platform where entrepreneurs can connect with potential cofounders and advisors to build strong founding teams. In the last two years, the platform has facilitated hundreds of thousands of introductions, leading to many successful startups such as Imperative or Revolv (acquired by Google).